Every year, on the 8th of December, the Fête des Lumières is celebrated in Lyon. Where does that celebration come from? The “Fête des Lumières” is historically a religious celebration. In the 19th century, France was the victim of the plague disease. After its eradication from Lyon, the inhabitants of the city decided to celebrate that day and thank the Virgin Mary by putting candles on their windows. Since 1999, this tradition became a popular celebration organized by the city of Lyon. 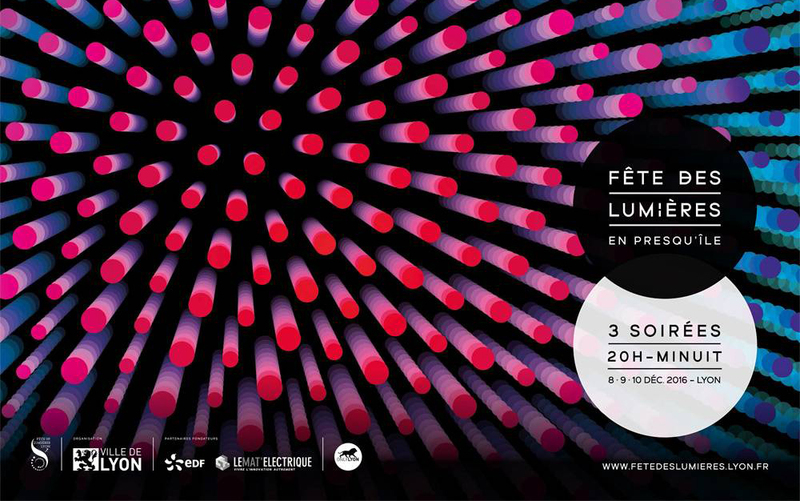 The “Fête des Lumières” takes place in several neighborhoods in Lyon and lasts 4 days around the 8th of December, during which more than 5 million people come to the city for the occasion. Thanks to its popularity, the « Fête des Lumières » became a real artistic event and it became an opportunity to gather contemporary artists and musicians. These artists work in collaboration with designers, graphic designers, lighting engineers and video makers to create and expose unique and innovative shows every year. You may wonder what is the best way to organize your visit to make the most of the 41 shows in the city of Lyon? You can visit the website of the Fête des Lumières to learn more about the different events in the different neighborhoods to organize your personal itinerary. You’d be better off if you avoid using your own car for visiting Lyon. You should also avoid using Private drivers in Lyon because the traffic is forbidden in the city center for the private drivers on the 8th of December and the whole city will be crowded with heavy traffic-jam on that day. So, you may wonder, what is the best way to visit Lyon while avoiding the bad traffic? Your first option is TCL, the public transports of Lyon, who enables you to use buses, tramway, underground, and it is totally free from 4pm on the 8th of December. Your second option, which implies a slight more physical effort, is VELO’V, who offers 4,000 rental bikes which you can find at 348 stations in Lyon.